Return to Email Alias Manager. Email Alias Manager is Brigham Young University's free email forwarding service. Use the Email Alias Manager to create a new email address, manage current addresses, or editing account properties. BYU Alumni are allowed to establish a lifetime @byu.net address that can be set to forward to one or more internet email accounts of their choice. Employees may establish an @byu.edu address to be used while they are employed at the University. By using an Email Alias, you may never have to notify your friends and associates of a change in email address. Establish an @byu.net email alias, and set it to forward email to one or more internet email accounts you choose. For example, if an individual sets up an email alias as john_doe@byu.net, any email sent to that address may be forwarded to a yahoo account (jd344@yahoo.com). If you ever change internet email providers, simply change your forwarding address using the Email Alias Manager. Immediately, email sent to your @byu.net address will be redirected to your new account. Note: @byu.edu forwarding addresses and University email accounts are NOT permanently assigned, and will be discontinued when you leave the University. The Email Alias Manager is accessible through myBYU. Expand the "Communications" section in the "Campus Links" box . Click on the Add New Alias button. Note: the system will check availability as you type. If a green check shows, then you are good to go. You can hover over any other symbol and read what needs to be fixed. Note: Press the more button to add another field. Make sure all previous forwarding addresses are formatted correctly. If there are any red X's, hover over the X to see what needs to be fixed. If there are all green marks, click save. You have a new email alias. Check the "Delete" option next to the alias to be deleted. Click on the confirm box to delete. Click on Edit next to the alias you want to update. The top field allows you to add a new forwarding address. When a valid address is entered, press Add. To edit an existing forward, simply type in the field of the forward you wish to edit, and press Save. To remove a forward, you must have multiple forwards. Note: If you want to remove your only forward, first add the new forward and then remove the other one. Since an email alias can be set to forward to multiple email addresses, it is useful to create a listserv for a small group of individuals. 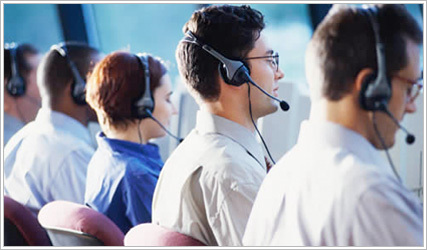 The maximum number of forwards allowed is 30 forwarding addresses. Each forward will need to be entered individually in either the Add New Alias area or the Edit Current Alias area. Once an email alias is established, anyone may send mail to the alias and have it automatically forward to everyone listed.